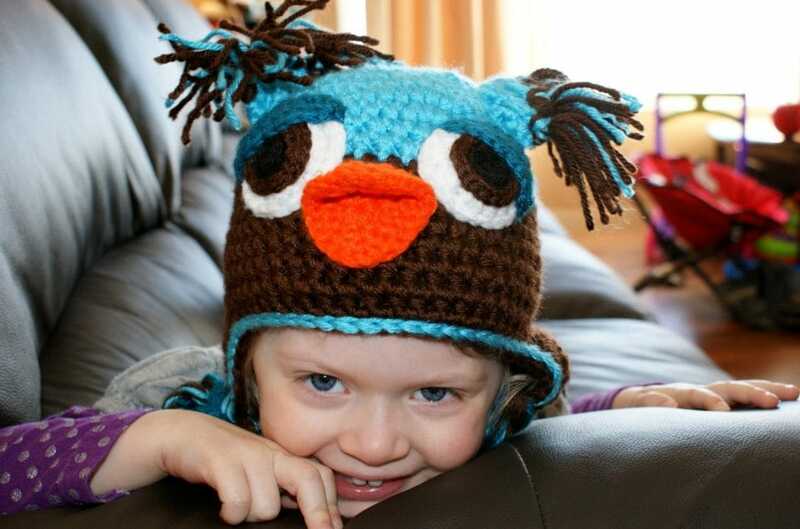 As promised, here is the updated version of the Toddler Size (3-5 year) Owl Hat. 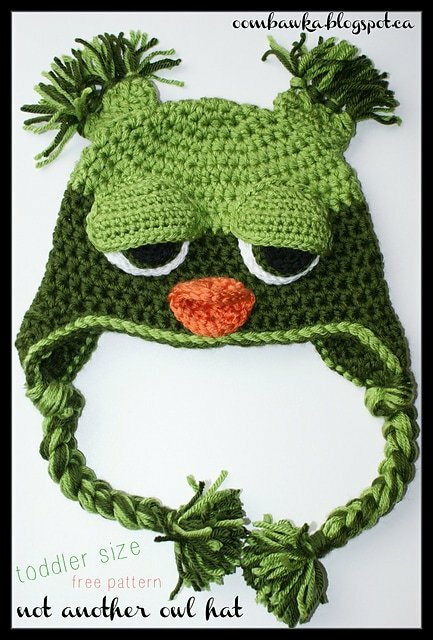 The Not ANOTHER Owl Hat Free Toddler Crochet pattern is available as a PDF download from Ravelry. I have included tutorials for the horns and ties in the pattern. I have posted the new version to Ravelry. This version includes the new, less bulky eyes and the complete horn/tassel tutorial. It also uses one brand of yarn from start to finish – to make it easier for you to substitute yarns if you wish. The WPI (wraps per inch) for the Red Heart Soft Yarn is 13 WPI (the same as Caron Simply Soft). I am releasing the full-version of the Not ANOTHER Owl Hat! pattern in two “sets” – Newborn, 3-6, 6-12, 12-24 and Toddler in one set and Child (6-10), Adult (small, medium and large) in the second set.